Maybe you want a princess party, or a campfire sing-a-long. A train themed party or a magical faerie experience. Let us know what you are looking for and we will work with you to create the perfect birthday experience for the guest of honor. guests including face painting, hair braiding or henna art. 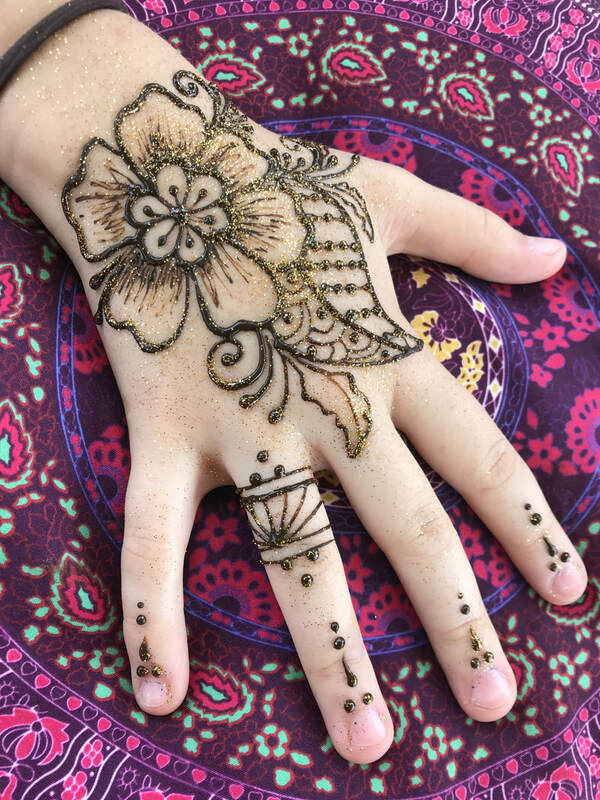 for teens and pre-teens who love henna! custom made henna design application for each guest. These are just a few ideas... please share your ideas with us!